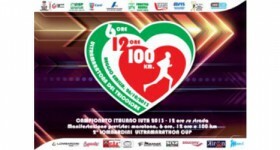 The Podistica Biasola Club from Reggio Emilia in Italy will host the 3rd edition of the “Ultramaratona del Tricolore”. 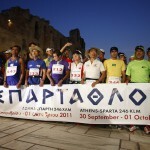 On Saturday, October 26th 2013 the runners will join events on 6 and 12 or 100 kilometers. The 12 hours event also goes as the Italian UITA Championships for the year 2013 so we except quite a fierce competition at this race. All events will be held at the “Pista avviamento al Ciclismo Giannetto Cimurri” near the Reggio Emilia Airport. Slovenian runners Toni Perušič] and David Pehnec will be at the event joining 12 hours and 100 kilometers races respectively.